With the title race practically over, Claudia Hürtgen and Marc Hennerici decided to try something new in preparation for next year – instead of the Schubert-prepared BMW 120d that has helped them dominate the diesel class this season, they took to the track in a brand new BMW Z4M Coupé for the first time. The Bavarian manufacturer is putting a lot of effort into the development of this endurance racing car, which will be available to customers in kit form; following some initial delays, two successful BMW privateers are carrying out the test and development work in conjunction with the factory. 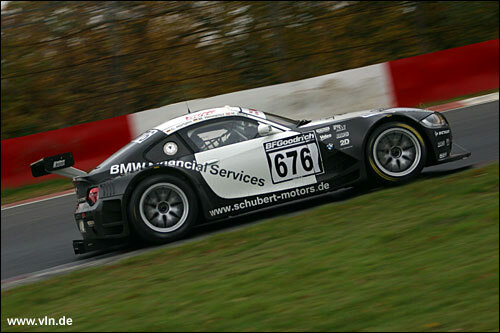 Duller Motorsport has already led the Z4M to success in the Silverstone 24 Hours; now Schubert Motors put the car through its paces on the track it was essentially designed for, the Nordschleife. 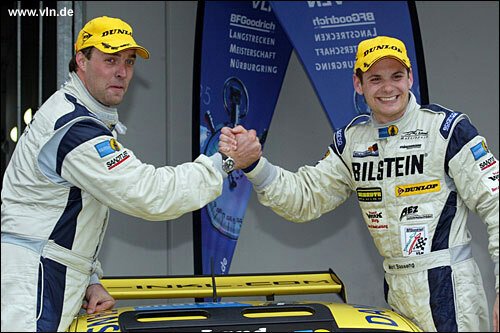 Their move to a less populated class was further indication that Hürtgen / Hennerici had given up their bid for the 2006 Championship; former WTCC privateer champion Hennerici had already secured the VLN Junior Trophy as best rookie, and the overall championship would go to a BMW team anyway. Mario Merten and Wolf Silvester only had to take the start to make their success official. A defective fuel pump made things exciting at the very last moment, but their 318is got going eventually, and Merten / Silvester still managed second place in class. At the sharp end of the field, Marc Basseng and Patrick Simon once again had pole position for the last race of the year, the DMV Münsterlandpokal. In its 31st edition, the race had as healthy a grid as every round of the German series; even though a multi-car crash eliminated a whole number of cars, 164 teams still made for a crowded grid. This race is also known as “Schinkenrennen”, the ham race, because the winners get a smoked ham along with their trophies. Weatherwise, while conditions were nowhere near as bad as they had been this time last year, the occasional precipitation did make for an entertaining few hours’ guesswork before the start: go for rain tyres, or chance it with slicks? Land Motorsport took the chance, and starting driver Basseng took the initiative right away and tried to assert himself at the head of the field – except that the other team on an all-Porsche front row had the same idea. Armin Hahne had the Manthey Porsche 996 MR Special at his disposal for the first time. The 24 Hours winning car has been sold to Christian Haarmann, who was listed as Hahne’s team mate; this time around, he never got to drive. Battling it out on lap 2, Basseng and Hahne touched going through the Mercedes Arena, and while Basseng’s 996 GT-RSR continued on slightly bruised, Hahne had to park the 996 MR (affectionately known as “Fats”) with radiator damage. Still, with Hahne / Haarmann ready for next year, and Manthey himself certain to build a new race-winning car, the crowd of competitive Porsches in the German championship continues to grow. If the BMW Z4M’s performance is anything to go by, they will be facing strong opposition in 2007. 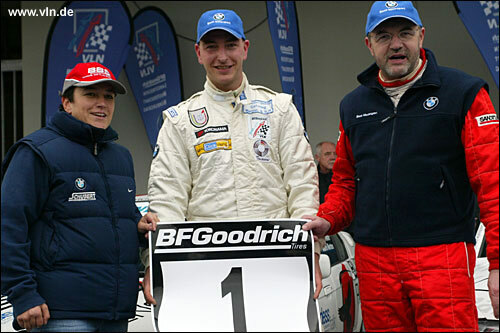 Hürtgen / Hennerici qualified third fastest and were joined by Hans-Joachim Stuck for the race. A faulty wheel bearing ended their progress, but the Porsche camp will have taken note of the competitive lap times the straight-six engined coupe is capable of putting in. While this car is only at the beginning of what promises to be an illustrious career, the Opel Astra V8 is already a seasoned campaigner; a similar ex-DTM machine won the 24 Hours in 2004. With the Opel Performance Center concentrating on the development of sporty road cars these days, the former racing department now lends support to privateers such as the Schall team, which has acquired the V8 Astras. Ably supported by Opel’s “Mr. 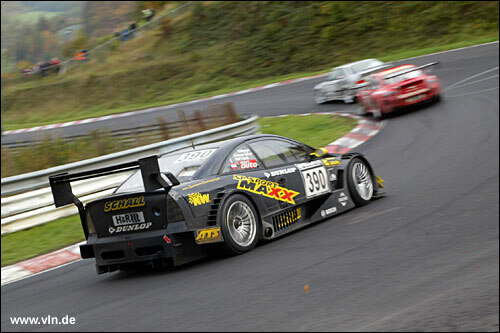 Rennsport” Volker Strycek, the black Opel nearly went all the way this time out. A mistake by Ralf Schall finally cost the team the win; overtaking under a local yellow meant a three minute penalty, and the Land team breathed a sigh of relief as Basseng / Simon scored their fifth victory of the year. With one car taking the overall honours in the championship, and another making an impressive debut, the Getrag team’s V8-engined M3 completed the good day for BMW with yet another podium finish for Gedlich / Bäder / Hagenmeyer, continuing the form the team has found late in the year and will hopefully continue into the next season. Further down the field, Scot Calum Lockie had squeezed a VLN race into his busy season and raced Jamie Martin's VW Golf: starting 113th, he had it up to 60th within seven laps and the pair finished 73rd, fourth in the H2 class. That was enough for second in class in the team points: it's not all about the race at the front in the VLN - far from it, with such huge grids. Several German teams are now getting ready for a trip to the Middle East; the 24 hour race at Bahrain has been confirmed in spite of a somewhat meagre 40 car grid, and the Dubai 24 Hours in January holds much promise. 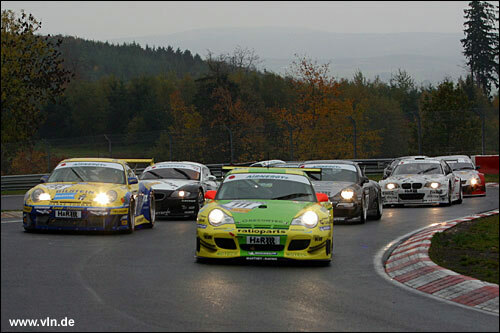 On the Nordschleife, the racers will reconvene in April for the first VLN test session of 2007.